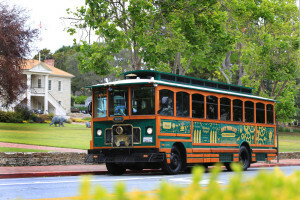 CCW worked with Monterey-Salinas Transit on the electric conversion of a trolley. The project involved a diesel trolley which was repowered to be all-electric with the inductive charging system for maximum range extension. The bus was put in service in June of 2015. The concept of developing the ZEPS bus initiated at CCW in 2012. The purpose was to recycle and convert used diesel buses to fully electric. 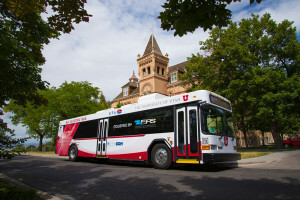 The University of Utah bus was 3rd in a series of pilot buses to demonstrate this concept. The ZEPS U of U bus was delivered in 2013. 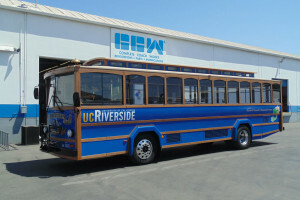 CCW worked with the University of California Riverside (UCR) to retrofit a diesel trolley bus that was already in transit to the all-electric ZEPS drive system. The trolley was put into service late May of 2014. Remanufactured IndyGo ZEPS buses are rebuilt with lightweight flooring and seats, low resistance tires, and energy-efficient heating and cooling to ensure a range of 130 miles on a single battery charge. Upon completion, IndyGo will receive what will be the country’s largest remanufactured electric fleet, helping the Indianapolis residents and visitors reach their destinations on cutting edge, clean technology vehicles. Ben Franklin Transit’s bus has all electrical components, auxiliary wiring, seats, air conditioning systems and flooring replaced with high quality new parts. 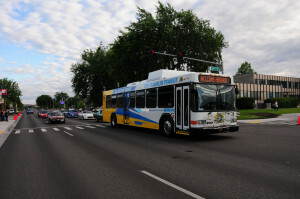 The bus also has an all-electric drive system, motor, controller, and advanced Li-ion battery packs, as well as a new, energy efficient air conditioning system. The remanufacturing process is so detailed and complete that the bus was issued a new title and current year registration. Because CCW made a point to source as many USA parts and components as possible, the bus is “Buy America” compliant. CCW takes a previously used transit bus powered by a diesel engine and remanufactures it into like-new condition with an all-electric powered drivetrain system. The process of remanufacturing improves the service life of the bus and avoids material waste. The ZEPS bus relies on the reuse-reduce-recycle philosophy and is the ultimate in sustainability. 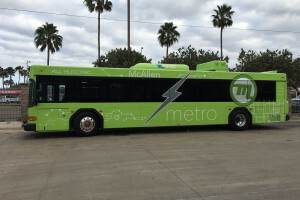 In January 2016 CCW delivered two ZEPS buses that include a wireless charging system provided by Wireless Advanced Vehicle Electrification (WAVE) to McAllen. 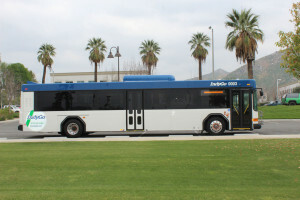 The two ZEPS buses will reduce the cost of maintenance and fuel, and are also five feet longer than the current buses in the McAllen fleet, permitting a larger capacity limit. McAllen held a rollout ceremony late January 2016. 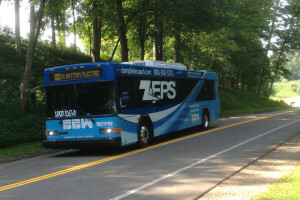 CCW delivered the first ZEPS GTrans bus in late September 2015. 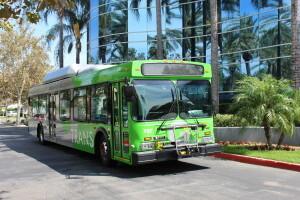 After the delivery Gardena received a California Energy Commission grant to upgrade four more of its hybrid buses to electric. Gardena selected CCW, once again, to convert the buses to ZEPS in a project expected to begin early 2016.